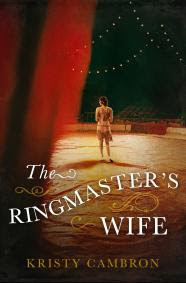 Travel back to the days of the Big Top circus with Kristy Cambron's fascinating novel The Ringmaster's Wife. 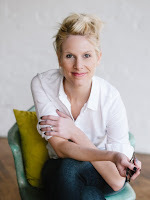 I adore fiction, but I also love a good biography, and Kristy Cambron has given readers a great mix of the two in her fictionalized but reality-based novel The Ringmaster's Wife. The dual timeline novel follows two women: the historical Mable (Burton) Ringling and the fictional Lady Rosamund Easling. I must admit that it took a while for me to get into the novel. It's written well—Cambron is an excellent writer—but the back-and-forth nature of the time lines, especially when Mable's story featured a few large time jumps, kept me from really engaging with the first half of the novel (and I often flipped back to see what year we'd previously been in). Near the midway point, though, something shifted, and I found myself swept into the world of the Ringling Brothers' circus. I especially loved how Cambron described the circus performers through Rosamund's eyes as she adjusted to life with the traveling circus. Through Rosamund, Cambron made a powerful point that people are just people: When reflecting on the sideshow performers after spending a bit of time with the circus, Rosamund thought "how peculiar it was that her surroundings weren't so peculiar after all. They included real people. With real hearts and giving natures few ever saw" (p. 191). All in all, Cambron has written a beautiful novel that will leave you longing to attend—or maybe join—the circus! 4 stars. 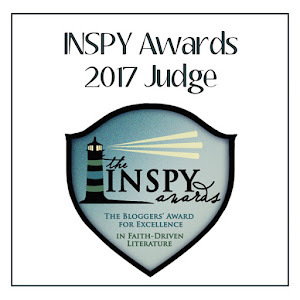 Read my reviews of Cambron's The Butterfly and the Violin (4 stars) and A Sparrow in Terezin (4-1/2 stars). Disclosure of Material Connection: I received this book free from Litfuse Publicity Group. I was not required to write a positive review. The opinions I have expressed are my own. Also, some of the links in the post above are “affiliate links.” This means if you click on the link and purchase an item, I will receive an affiliate commission. I am disclosing this in accordance with the Federal Trade Commission's 16 CFR, Part 255: "Guides Concerning the Use of Endorsements and Testimonials in Advertising."